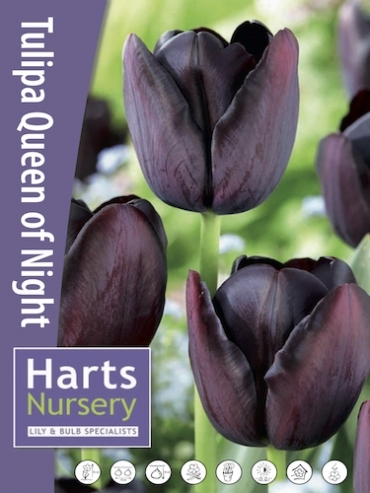 Buy Tulip Bulbs | Tulipa Queen of Night | Gold Medal winning Harts Nursery. These are probably the most popular of the deep purple tulips. 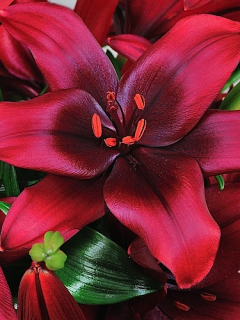 'Queen of the Night' tulip has velvety, dark maroon, single, cup-shaped flowers on straight stems which flower in May and are absolutely stunning, so they do deserve their acclaim. The almost-black tulips work well planted between other plum-coloured flowers and foliage plants. 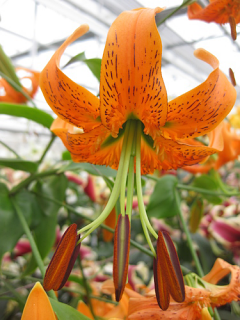 Will grow to a height of 60cm tall. Queen of Night is a Single, Late Tulip. 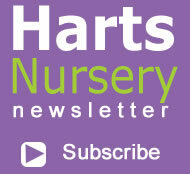 Planting and growing instructions: Buy Tulip Bulbs | Tulipa Queen of Night | Gold Medal winning Harts Nursery. 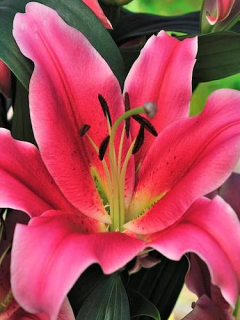 Plant care: Buy Tulip Bulbs | Tulipa Queen of Night | Gold Medal winning Harts Nursery. 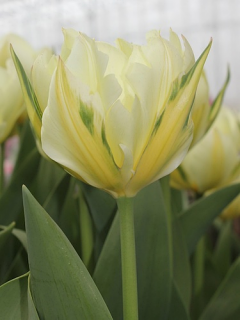 Tell a friend about Buy Tulip Bulbs | Tulipa Queen of Night | Gold Medal winning Harts Nursery.